Three young cats were found dead in communal bins and near some trees in a “horrifically tragic series of events” after going missing from their home in Birchwood. 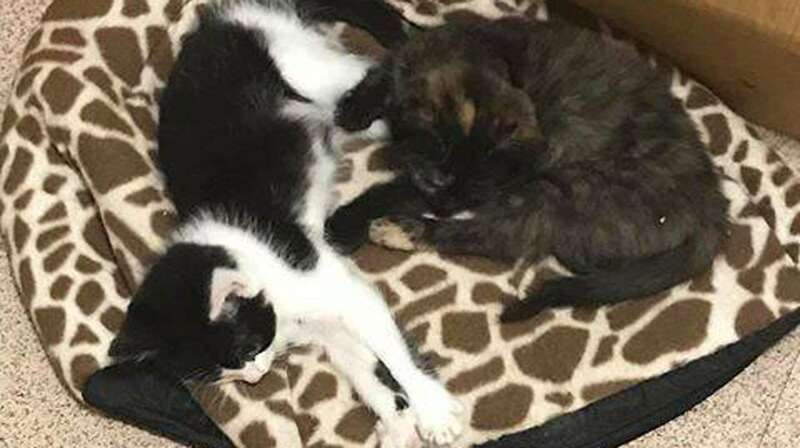 Four cats went missing on Monday, October 29 from Epsom Road in Birchwood – two six-month old boys and two three-month old females – after jumping out through a window. The body of one of the boys was said to have been found near some trees deceased soon after. Three were found dumped in a communal bin – two of them were dead and one was still alive. The kitten, who is still alive, is now safe and doing well. Lincolnshire Police has confirmed that no-one has yet been arrested or charged in relation to this incident. The RSPCA has confirmed to The Lincolnite that an investigation is being carried out. Lincoln Cat Care posted on its Facebook page: “Such a horrifically tragic series of events and given that three of the young kittens were in a bag in a bin, it would seem they were the victims of foul play. “We cannot confirm if the owners reported this matter to the relevant authorities (we certainly asked them to do so). However, we can confirm that reports by other parties were made to the RSPCA. The charity added: “The death of these cats will not be forgotten by us and we thank those that spoke up and tried to give a voice to animals that have none. Lincoln Cat Care are urging anyone with information to contact them on 01522 306195/796089. A spokesperson for the RSPCA said: “The RSPCA is investigating the death of these cats.